Higher ranking is such a reward. To get the top position on search engines one need to put a top to toe efforts in their online presence. These efforts involve numerous SEO tips, tricks, methodologies and well aware of latest updates. Search engine algorithms change regularly. So, it is also very important to stay up to date with all the essential updates that are occurring. One extra click can bring more opportunities beyond your imagination. If you have any doubt or don’t know how to start or if it’s your new website or remodeling of existing website, without wasting a second just call up best SEO company in Faridabad, Delhi. They will answer all your queries rightly. Reaching on the first page is not enough unless you achieve the first rank. Because “websites which ranking first position receives an average click-through rate (CTR) of 36.4 percent; and website positioned on number two have a CTR of 12.5 percent.” This data is enough to clarify you even second ranking can escape half of your prospects sales and conversion. If you don’t have a strong search engine optimization strategy in right place, you are losing out on brand impressions, clicks, and sales. 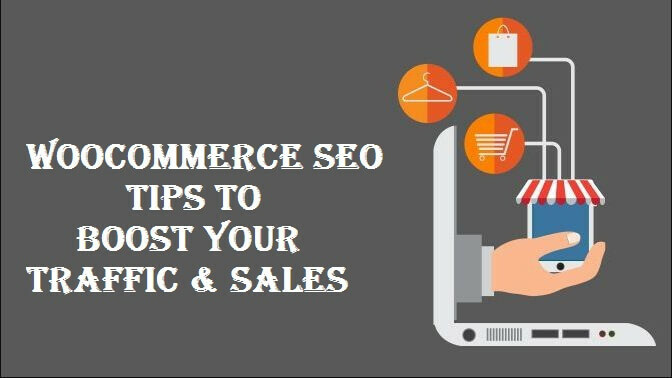 This article has clipped step-by-step guide which undoubtedly supports and enhance your e-commerce store. It is advisable for every SEO experts or professional from the e-commerce website designing company in Delhi that makes ample research before you begin as research is the most important piece of SEO. There are various ways to add Enhanced eCommerce tracking for WooCommerce website which has no learning curve. I never found any powerful SEO tool than Yoast SEO. It optimizes your website for search engines and catches the attention of potential customers which converts into conversion. I have installed this plugin on all of my websites and would strongly recommend to you too. This free SEO plugin allows you to opt a focus keyword on every page of your website, and then gives you implications to make use of it appropriately on that page. Focusing on the right and targeted keywords ensure that your business draws the right prospects that are likely to be converted into leads and customers. If you are also struggling with less traffic and no business, focus on KPIs (Key Performance Indicators) of your WooCommerce shop. Have a look on few KPIs you need to keep track to produce more returns from your online store. To evaluate the corners from where success is coming or where you need to make more work to build your customer base from search engines and other traffic sources these KPIs are very important. Next, you can do to enhance your traffic and sales are to push and promote your popular products and categories on your homepage, sidebar, and other locations on your website where you do product recommendations. For this make sure you have enabled the Enhanced eCommerce on your site. After enabling, you can go to Conversions » E-commerce » Product Performance to see your top-selling product pages. Internal linking is a boom for any online business as it can help to build SEO responsive architecture for your site and also help users to easily navigate through your site. It is highly advisable tip to add internal links to high-priority product and category pages.